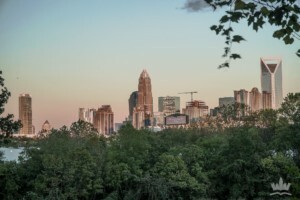 The Queen City is now ranked among the top 20 best places to live in America, according to the 2019 U.S. News & World Report. This year, our official rank was #20, two spots higher than our 2018 #22 ranking. We beat out Dallas at #21, Greenville, SC at #22, and Portland, ME at #23, Charleston at #45, Tampa at #56, and Atlanta at #56. The publication analyzed the top 100 most populous cities in America, by comparing each one’s quality of life, value, job market, desirability and net migration. This year, Charlotte achieved an overall score of 7.0 out of 10 (for comparison, the #1 city on the list, Austin, TX only scored a 7.6).